M.U.G.E.N. 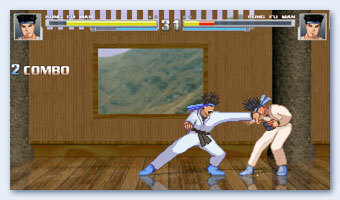 is a 2D fighting game engine that is enables you to create commercial-quality fighting games. Almost everything can be customized, from individual characters to stages, as well as the look and feel of the game. The MUGEN program ijs very limited on controller mapping, since many keys are permanantly mapped to debugging inputs. So we have made this custom mugen.cfg file for X-Arcade owners using mode1. Download M.U.G.E.N. X-Arcade cfg - Download and replace in the \mugen\data\ directory.